In the early 1980s, a town sprang up 64,000 acres in eastern Oregon. At its height, Rajneeshpuram, as it was known, would be home to thousands who came under the spell of a spiritual guru from India named Bhagwan Shree Rajneesh. His town would eventually include a strip mall, a hotel, a disco, an airstrip and public transportation — though he preferred to motor around in one of his many Rolls Royces. His community was also in violation of state land use laws and when the state of Oregon unincorporated Rajneeshpuram, Rajneeshee leaders unleashed nothing less than a reign of terror. They voted their own citizens into power in the nearby town of Antelope. They plotted and attempted to kill public officials. They infected a salad bar at a restaurant in the Dalles with salmonella. That sickened more than 750 people and remains one of the largest bioterrorism attacks in the nation’s history. The commune collapsed in 1985, numerous Rajneeshees were convicted of crimes and Rajneesh himself was deported. More: In 2011, the Oregonian ran a five-part series looking back at Rajneeshpuram ». In the years following World War II, Portland developed a quiet reputation as a place that wasn’t all that quiet. Scratch the surface, and you’d have found brothels, gambling, bootlegging and plenty of underground characters more than happy to try and buy off an official or two. And there was more than an official or two willing to take the money. Eventually, even the Teamsters made their way down from Seattle to get a piece of the action. A series of articles in the Oregonian in 1956 pulled the story into the daylight. 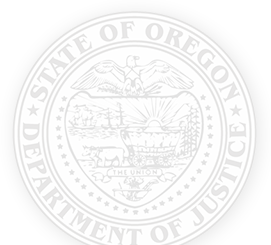 The Oregon Attorney General investigated the crimes, prosecuted the characters and helped the Federal Bureau of Investigation take on the Teamsters. The story of that period in Portland would be retold in Life magazine and become the basis of a 1957 film titled Portland Expose. The 2016 settlement with Oracle ended several years of litigation for the state. The settlement, valued at more than $100 million, included cash payments to Oregon and a six-year Unlimited License Agreement (ULA) for products and services that could be used to significantly modernize state government’s IT systems – potentially saving Oregon hundreds of millions of dollars. The agreement also included $60 million in free customer service support from Oracle, a $10 million grant for science, technology, engineering and math (STEM) programs in Oregon schools, and $25 million to reimburse Oregon for litigation costs. Through this settlement, all legal actions related to the failure of Oregon’s health exchange are dismissed with prejudice. More: Read the September 2016 press release announcing the settlement. In 2004, Oregon was a lead state in a settlement with Warner-Lambert, the manufacturer of Neurontin, a drug used to treat epilepsy. Warner-Lambert, a wholly-owned subsidiary of Pfizer, Inc., violated state and federal law by promoting Neurontin for uses other than those prescribed on the label. That practice is known as off-label marketing. Under the terms of the settlement, Warner-Lambert was ordered to pay a federal fine of $240 million, pay $152 million in restitution to the states’ Medicaid programs and another $38 million to pay for the states’ Attorney General to cover court costs and establish consumer/physician education programs. Oregon Medicaid programs were scheduled to receive about $1.3 million in restitution and another $28 million to fund two education programs. Warner-Lambert also paid $700,000 to Oregon’s Consumer Protection and Education Revolving Account, and funds Oregon’s Consumer Protection Program. More: Read the full 2004 news release regarding the settlement with Warner-Lambert ». Established in 1998, the Tobacco Master Settlement required the four largest tobacco companies to pay $206 billion over the first 25 years of the settlement to the 46 states involved. The annual payments made to Oregon by the tobacco companies are added to Oregon’s general fund. Since it’s start, more than $1 billion » has been paid to the state. Among other programs, payments made to Oregon have been used to provide anti-tobacco campaigns educating youth on the hazards of tobacco; for programs to prevent the sale of tobacco products to minors; and to cover part of the cost of treating patients with chronic or terminal illnesses from tobacco products use. The MSA also created the American Legacy Foundation, which ran a national anti-tobacco ad campaign targeting children.